When six-week-old Jasmine is placed in her care, foster mother Maggie Hartley is delighted to have a baby in the house again. Maggie's been given temporary custody of Jasmine after social services were concerned that the baby was failing to thrive and develop. With Maggie's love and care, Jasmine soon flourishes into a healthy, happy baby - but it is clear that all is not quite as it seems with her mum, Hailey. Timid, pale and withdrawn, Hailey looks as though she is carrying the weight of the world onher shoulders. Maggie fears she may be suffering from postnatal depression until late one night she discovers Hailey on her doorstep, her body battered and broken, her spirit crushed. Hailey admits that her husband has been abusing her for years, but this revelation places Maggie in an awful situation: there's no way Hailey can regain custody of Jasmine until her husband is off the scene. 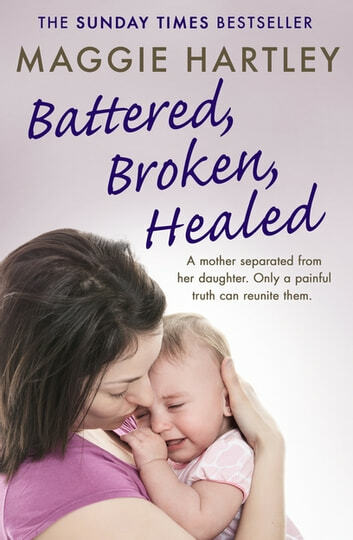 But after years of physical and emotional abuse, can Hailey find the strength to leave him? An uplifting and ultimately redemptive story by Sunday Times bestselling foster carer Maggie Hartley. Perfect for fans of Cathy Glass, Casey Watson, Angela Hart and Rosie Lewis. As all of Maggie's books are a wonderful and exciting read. She really is an excellent Foster Career and her books are a tribute to that. Keep the stories coming.